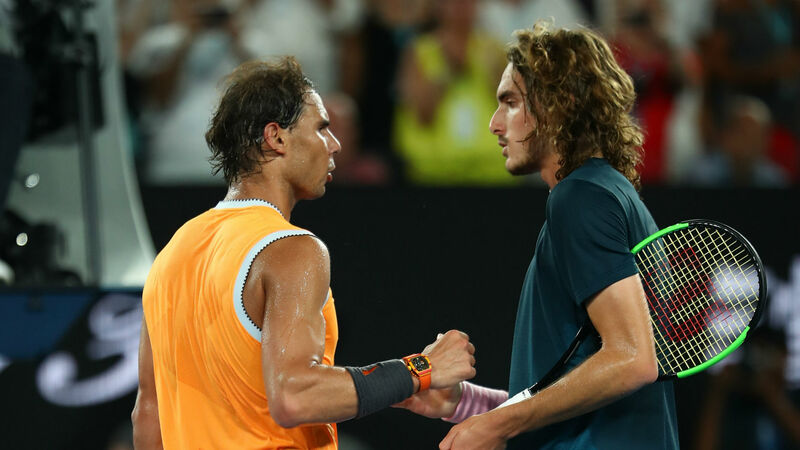 Stefanos Tsitsipas said he could take little from an Australian Open semi-final in which he was blown away by Rafael Nadal's unique style. Describing Nadal's performance, the 20-year-old said it "felt like a different dimension of tennis". "Honestly, I have no idea what I can take from that match," Tsitsipas told a news conference after the 6-2 6-4 6-0 drubbing. "It's not that I was even close to get to something. I only got six games from that match. "I don't know, I feel very strange. I feel happy with my performance in this tournament but, at the same time, I feel disappointed. "I feel like I could do a bit better today, but it's a very, very weird feeling. I almost felt like I just couldn't play better. I don't know. "Nadal did surprise me with his serve. He's not the biggest server on the Tour, so it's annoying that I didn't get close to breaking him at all. He's just very aggressive from the baseline. That's pretty much it. "I really can't think of something positive from that match. Probably the second set, which was the one that I got closer to. "The rest felt like, in a way, it wasn't tennis so much like the other matches that I played. It felt like a different dimension of tennis completely. "He gives you no rhythm. He plays just a different game style than the rest of the players. He has this talent that no other player has. I've never seen a player have this. He makes you play bad. I would call that a talent." "Hopefully I get closer next time. I've been working really hard," he said. "As it seems, it's going even worse than before. "Against Rafa, I did play a good match in Toronto against him. I had my hopes high for the next time. I remember saying to myself, 'I'm going to beat this guy next time I play him'. "That's why I'm so disappointed today, because I wasn't even close."